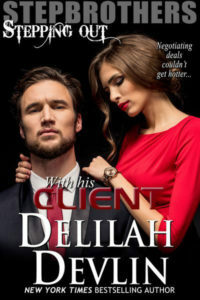 Thank you Delilah for having me guest post today about short story perks. I love discovering a fresh voice without the time commitment of reading a full length novel. These little nuggets, novelettes and novellas, brighten up my coffee time, keep me company during lunch, and supply the perfect antidote for a good night’s sleep. I think my love of shorts is because of the variety. This year, I released my debut light paranormal contemporary short (16 pages of happily-ever-after) titled A Promise Worth Keeping, which hit #1 in Free Kindle and is a top 100 paid Short Romance. In June, I released the second short (closer to 80 pages) titled A Promise Worth Remembering, which hit #3 in Free Kindle and just this week became available in book form—a first for me! Look for the third Promises Collection installment to be released in late fall 2013 titled A Promise Worth Sharing. All three stories are set in my fictional town of Safe Haven where Native American folklore plays cupid in reuniting first loves. Do you enjoy short stories? If so, what author(s) have you discovered? Leave a comment for a chance to win an eBook of A Promise Worth Remembering. 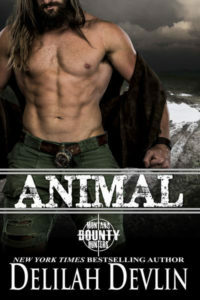 After ten years, tiger preserve owner Bailey Yant never thought heart-breaker Tucker Pierce would return to Safe Haven. With a hundred-year-old feud between the Pierce and Yant families escalating, and despite a mystical lovers’ rock stirring memories of their forbidden love, she’s walled up her heart tighter than her sanctuary. When her prized tiger trespasses onto the Pierce’s hunting range, and poachers threaten not only her tiger’s safety but the livelihood of her preserve, will Bailey open her heart and trust Tucker in time to save her endangered Bengals? At seventeen, Tucker Pierce fell in love with Bailey’s strength the day he’d pulled her from the river and promised to make her dreams come true. However, to keep Bailey safe from his abusive father, he risked everything—and in the process lost her to another man. For ten years, he’s kept his reason for leaving Safe Haven secret, but he can’t forget the promise he made to her or who his heart belongs to. After finding the widowed Bailey standing on their special rock, will he finally convince her to trust he’s a man of his word? TO SEE HER DREAMS COME TRUE, WILL SHE RISK TRUSTING…A PROMISE WORTH REMEMBERING? Tucker’s gaze found Bailey’s and held. Corkscrewed into her heart until her chest hurt. Smoothing her chin with her palm to quiet the quivers spidering across her face, she raised her brows and expected him to say more. She lifted a palm, a subtle wave before she dropped her arm to rest at her bare thigh. What could she say to him? Hello? How have you been? Too many questions riddled her mind to settle on a single syllable. If what he needed to discuss caused him concern, why hadn’t he crossed the river or driven to the preserve? They were adults and she didn’t have any problems with Tucker, only his father. No matter… Most likely he’d seen some of her tigers housed in the sanctuary. Because of their natural instincts to hunt large game, they slinked along the north side of the property to stalk deer that paused where the gentle slope led to the water’s edge. But bridging their past with small talk? Want more shorts and anthologies? See Amazon’s top 100 lists of Short Romance and Anthologies paid and free here.